Abamectin is a miticide used to control mites, cockroaches, and ants. It is able to move into plant tissue to provide longer protection. It acts by attacking the nervous system, causing paralysis. It is used in a variety of field and orchard crops. 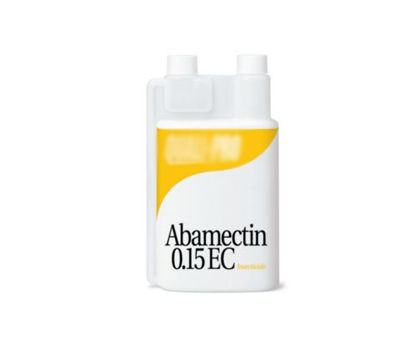 Abamectin is a stomach poison that is highly toxic to rats. It is also highly toxic to bees, fish, and wildlife. Abamectin residue degrades from leaves and in water quickly, minimizing lasting ecological damage and overall residue.